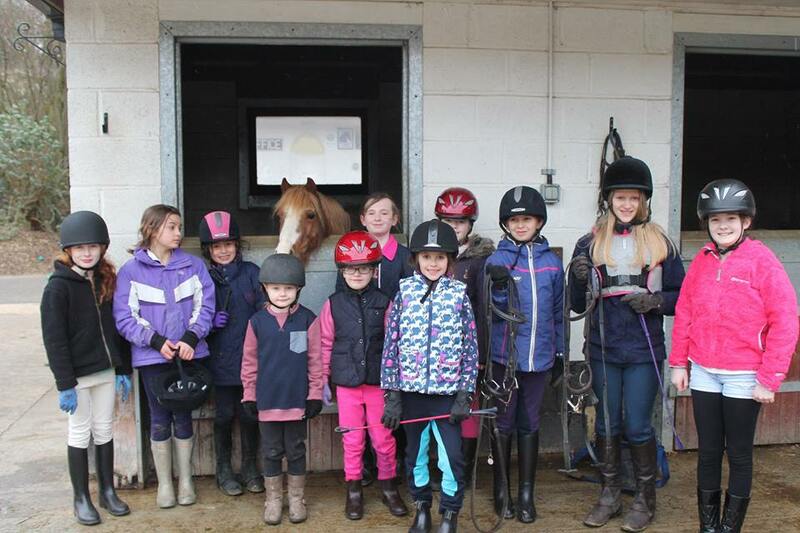 A fun and friendly structured club in which you can learn how to ride and look after a pony. learn to look after a pony. participate in exams, competitions, rallies, camps and much more. 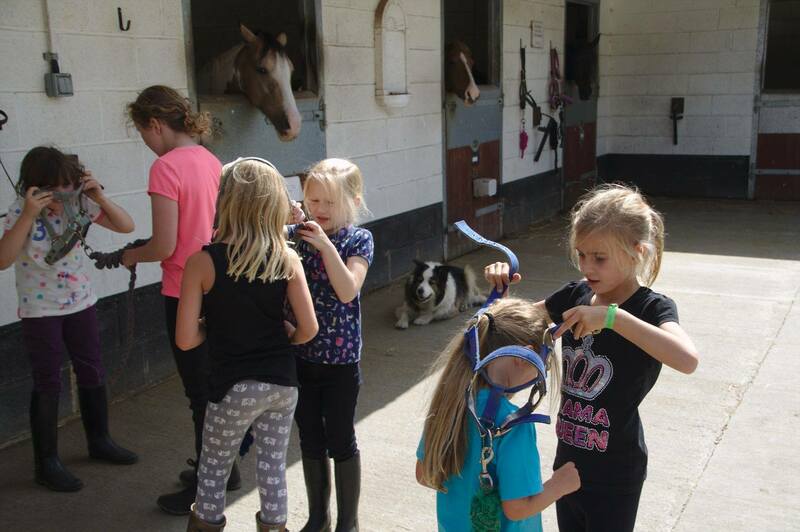 A fun and structured scheme providing a progressive way of learning to ride and look after a pony. Instruction from our qualified staff who are regularly briefed on the latest regulations and receive ongoing training. Third party liability insurance for Pony Club members. Organised trips to major shows such as Badminton, Olympia and Horse of the Year Show. Private lessons after school as assessments for group allocation and for nervous riders. Four different levels of group lessons on weekdays and weekends. Sessions working towards specific achievement badges e.g. grooming, mucking out. An insight into many different equestrian discipline such as Dressage, Show Jumping, Western, Vaulting and Side Saddle. BHSAI Instructor with multiple skills including side saddle and western. Leila is no stranger to Contessa! She started her training here in 2006 gaining her ABRS ITA and her PTT. After working at various yards, from private competition yards of Para Dressage riders as a competition groom to a big college yard where she was the assistant manager, Leila returned to Contessa with her BHSAI and is working towards her BHSII. Leila has recently gained her BHS Stage 4 Care certificate. “I returned to Contessa to for fill my ambitions and further my equestrian knowledge from the best people in the industry who are also now dear friends. Contessa is a rare place and is a way of life not just a work environment”. Leila loves teaching riders of all abilities and ages and is especially good at building peoples confidence while riding. Leila has her own event horse who she has introduced to western. She has plans that he will learn side-saddle this year. Leila is currently competing her horse ‘Time for Change’ (Wills) in affiliated dressage and is scoring well. Leila also shows a keen interest in natural horsemanship. As our office and yard coordinator, she is a key part of our team organising events/shows secretary & is PA to Tina & Dawn. Leila can be regularly seen riding on the majority of all the current clinics with her colour coordinated outfits. Leila was also short listed for the ABRS Golden Spur Award 2015 & a an ABRS training scholarship. Wanda is originally from Germany where she started riding at the age of 6. After years of teaching in a German Dressage Riding Centre in Northrhine Westphalia and studying business & law Wanda came to London in 2012 and worked in an environmental & human rights law firm. She obviously missed the horses and started working in different riding schools including Hyde Park Stables and Mudchute Equestrian Centre. Wanda has a busy teaching schedule and focuses particularly on the riders position and the understanding of the riders aiding to improve the horses way of going. As our Marketing Manager she recently developed Contessa’s website and writes our newsletter. She is also our Student Liaison Officer and supports our students with their exams. She loves to ride our Advanced Dressage Horses and especially our Lusitano stallions and mares from Portugal and Spain. Wanda is available for lessons both weekdays and weekends. She also runs our Balance & Coordination Evening Class ( Tuesday 7pm). Wanda holds her ABRS Teaching Certificate and UK Coaching Certificate and is one of our lucky ABRS scholarship holders. She also runs her own livery & training yard near Contessa and is currently competing her 6 year old German Warmblood Sir Sandokan (Monty) in BD Dressage competitions. Wanda backed Monty herself when he was 3 years old and he has enjoyed many of Contessa’s several clinics. Wanda and Monty are supported by Tina in their training and also train regularly with Arthur Kottas. Iren joined the team in January 2019. Originally from Bulgaria, she developed a passion for horses from a very young age. After graduating from University she decided to move to the UK to follow her passion and pursue a career in the Equestrian sector. Since making this move she has successfully passed her BHS stage 1 and 2, and Kiets level 2 exams. She also developed a love for teaching. Iren is currently working towards improving her existing skills and passing her next BHS exams. She is determined to gain further experience which would enable her to teach at a higher level. Lilly is a happy, popular and friendly mare. She is a great confidence giver especially when it comes to jumping. She loves the fuss and attention that she gets around the yard and especially being given lots of carrots and apples from young people. Lilly is not only a talented jumper, she excels at teaching riders the basics of dressage. Gentle, forward going and best friends with Toby. Millie is a gentle forward going pony. She shows a talent in teaching both children and adults a correct contact and the beginnings of lateral movements. Millie is also a keen jumping pony. 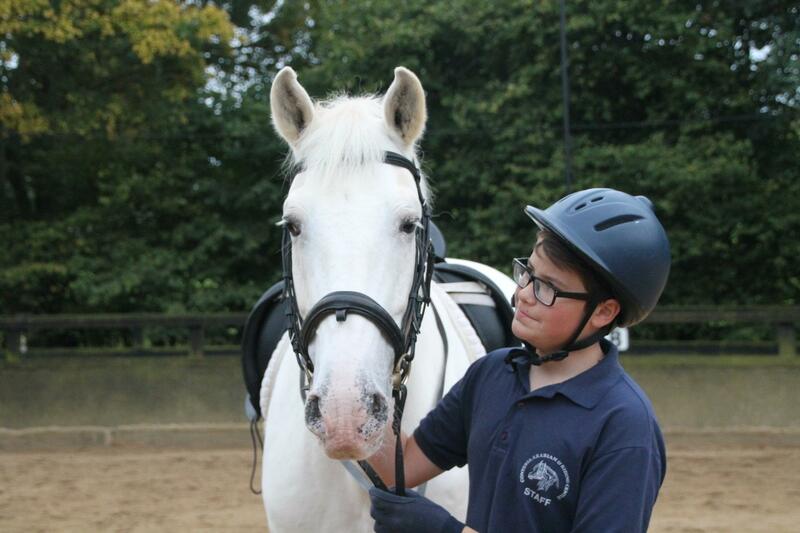 Millie joined the Contessa team with her friend Toby a few years ago, they are both very valuable within the school. Popular amongst both children and adults, he loves all types of work. Moonie is a 13.2hh Arab X Welsh and is a long standing member of Contessa. He has taught many to ride. He loves all types of work, but is particularly talented at jumping. He is the perfect size to be ridden by both children and adults; this enables us to use him for more advanced work, whilst keeping a steady approach of teaching. Sweet natured gelding who loves jumping and Dressage. Toby is a sweet natured 13.3hh caremello gelding. Since joining Contessa he has showed a great ability towards all aspects of the sport. He loves nothing more than going over jumps and going out in the field. Toby is also very willing to participate in Dressage, being able to do basic lateral movements. He has also competed as part of the Contessa Dressage Team. *If you are inquiring about riding lessons please mention your riding level/experience.